Destiny goes offline for six hours for maintenance, which could mean that the Sparrow Racing League event will return next week. Players who are seeking to play Destiny were not able to login to the game starting at 8 a.m. PT / 11 a.m. ET, but those already logged in were able to hang around for a little while to complete activities. Bungie is taking the game completely offline at 9 a.m. PT / 12 a.m. ET for five hours until 2 p.m. PT / 5 p.m. ET. The studio did not give an official reason for the maintenance. However, all signs point to this as preparation for the Sparrow Racing League returning with the Tuesday, December 6 Weekly Reset. Bungie will be at the PlayStation Experience scheduled for this Saturday and Sunday. Community Manager David "Deej" Dague placed a thinly veiled confirmation in the weekly Bungie update before the week of Thanksgiving that the studio will be at Sony's event to reveal this year's edition of Sparrow Racing, but any details have not been revealed. "The week after, we'll be packing our bags for Anaheim, CA," Dague wrote at the time. "The particulars of our mission are still a mystery. We'll cross that finish line soon. "Last year's inaugural Sparrow Racing League ran for a month and offered players a chance to race against others across two maps. There was also a $10 record book that could be purchased for additional rewards in the form of more stylish racing suits and Sparrows. Still, Destiny players looking forward to SRL's return should expect to see the return of the Record Book likely with some expanded quest material. Bungie did the same with Festival of the Lost by adding a little extra to this year's event over the previous year. An extra racing map or two is likely a safe bet as well. The Mars and Venus maps in last year's event were fun, but quickly became too repetitive to support a month-long event. A new map set in the Plaguelands seems most probable, but locations on the moon or even Oryx's Dreadnaught could be fun additions as well. 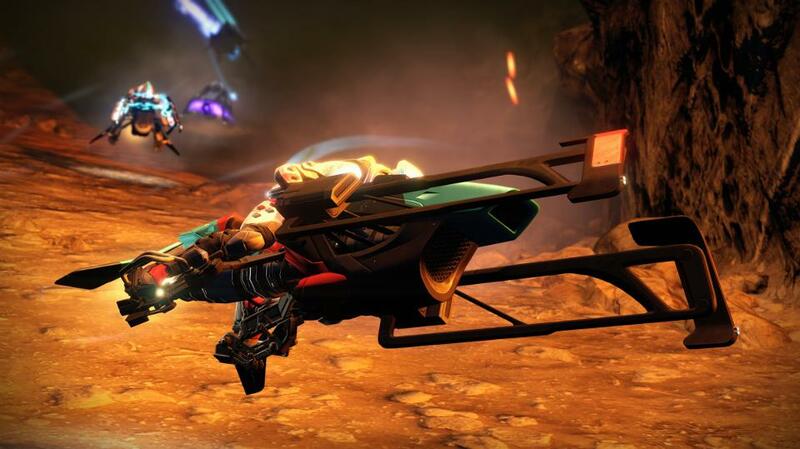 The latter, especially so, since Sparrows can't be used in that patrol location at all currently. Beyond that, players will match up in races featuring six players through tracks filled with boost gates and enemy minions shooting at them. End-of-race rewards included racing suit armor, as players worked through a Quest towards a Class S License from Amanda Holiday, plus various bounties. Could more be included this year?